If you’ve stayed at a hotel on the Las Vegas Strip within the past few years, you’ve almost certainly been subjected to a resort fee. With tax, this daily charge ranges from $26.88 (Circus Circus) to just shy of $40 (Wynn and Encore), and includes some perks that you’d normally have to pay extra for (like water bottles and Wi-Fi), and others that you wouldn’t (such as pool towels and gym access). In almost all cases, amenities covered by a resort fee would otherwise be available free of charge to elite members, although even top customers are rarely able to get these fees waived (though there are some exceptions). The biggest issue with resort fees is that they’re rarely baked into the room rate you’ll see when searching for a stay. They’re disclosed before you complete the booking process, but if you’re trying to compare properties based on the total charge, factoring in this extra charge can be a real inconvenience. 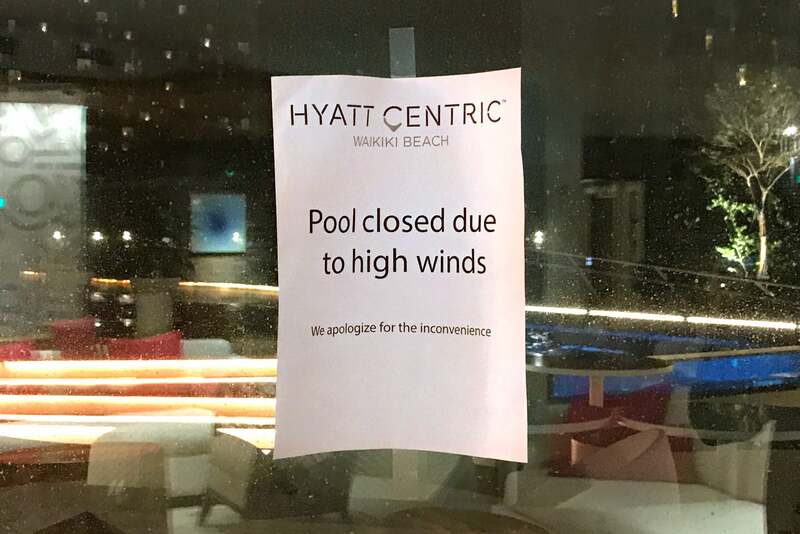 Resort fees are reflective of resort properties’ added amenities and recreational activities in line with expectations of a resort experience, and Hyatt is committed to fully disclosing them to guests. They’re displayed throughout the booking process, including on hyatt.com and in the final estimate before customers complete their reservations. It’s interesting to note that Hyatt referenced “resort properties” above — but what about a property that clearly isn’t a resort? Can a resort fee be applied there as well? The view from my “ocean view” suite at the Hyatt Centric — the ocean is more than five blocks away. Two (2) Reusable Water Bottles — I had two low-quality bottles waiting for me in my room, one of which broke almost immediately. Beach Chairs — these folding chairs are available from the valet, but you need to carry them to the beach (about five blocks away) yourself. Local phone calls from the guest room up to 60 minutes per stay — who cares? 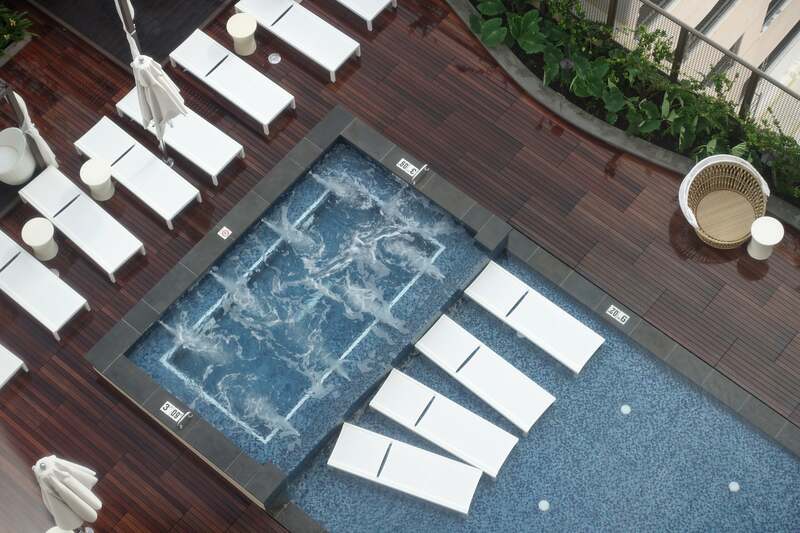 Pool & Beach Towels — helpful, but you could just borrow a bath towel from your room. Also, the pool is tiny — I’ve seen much bigger pools at airport hotels. 24-hour Stay-Fit Gym Access — while the equipment was brand new, this was the most basic hotel gym I’ve ever seen. Daily Hawaiian Cultural Hour (available five days per week) — nobody mentioned this at check-in. Complimentary Arrival Beverage — I was offered a plastic cup of pineapple juice while I waited for my room. Discounted Beach Activities — this was never mentioned at check-in or check-out, so it’s not clear what’s included. Is the fee really that big of a deal? Well, I booked a standard room with the AAA rate, which totaled $211.65 per night, plus $29.55 in tax. After adding the daily resort fee of $26.18 (including tax), that $211.65 room ended up costing $267.38 — that’s a sizable jump. 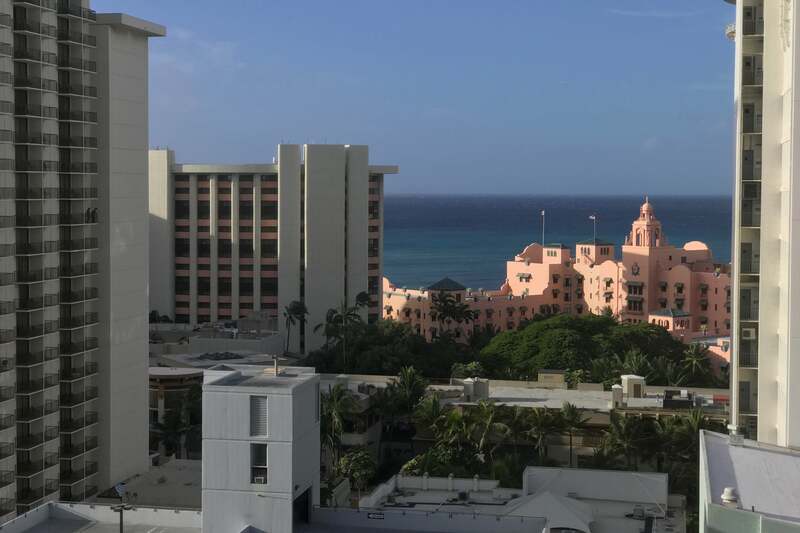 If you’re not paying attention at booking and you’re planning to stay a week (not an unreasonable amount of time in Hawaii), you’re looking at more than $200 in additional fees. Ouch! Fortunately, I was able to get the fee waived this time by making my request with a supervisor (more on that below). I was able to get the fee refunded, since the pool was closed for the duration of my stay. With all that out of the way, it is possible to get around these fees. Some resorts will absolutely not budge, but I have had success getting the fee waived due to poor Wi-Fi connectivity, stating that I did not intend to use any of the amenities (in which case I paid a smaller fee for gym access) and, in the case of my recent experience at Hyatt Centric Waikiki, because the pool was closed for the duration of my stay. While the front desk staff may not be able to adjust your rate (unless there’s been an error), they oftentimes do have the authority to waive or refund resort fees, as long as you give them a good reason to do so. As always, being polite will go a long way to helping your case, and if you’ve experienced difficulty taking advantage of some of the included benefits during your stay, be sure to have this documented along the way. For more on how to avoid paying these fees, see our Overview of Hotel Resort Fees and How to Avoid Them. According to the American Hotel & Lodging Association (AHLA), only 7% of hotels charge a resort fee (I might argue that the figure’s even smaller than that). Additionally, the AHLA reports that the trend of adding resort fees has declined overall, and hotels have gotten better about disclosing fees following a 2012 FTC investigation. That said, if you’re staying at a hotel that does charge one, knowing that most do not won’t make you feel any better. As for this particular property, there is some relief coming soon — once the new World of Hyatt program launches later this year, Globalist elite members won’t be subjected to resort fees, even on paid stays. 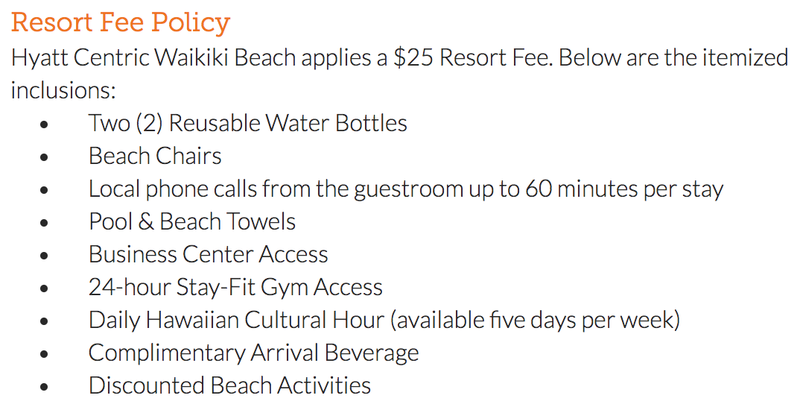 In the meantime, given that Hyatt Centric Waikiki doesn’t offer resort amenities, I think it’s reasonable for management to discontinue the fee, or at least make it optional if you aren’t able to take advantage of the perks listed above. Do you think it’s reasonable for a “regular” hotel to charge a resort fee?